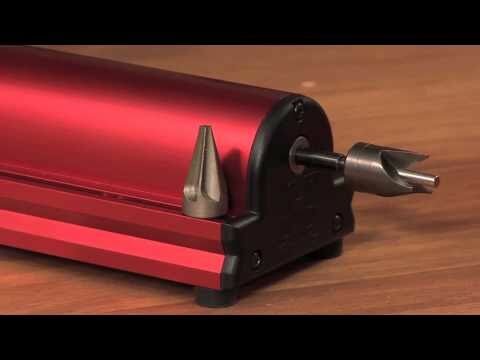 Hornady has a new, compact, one-station Case Prep Assistant for 2011. This handy, affordable unit easily fits on your benchtop. The dual-voltage (110v/220v) Case Prep Assistant can power inside and outside chamfer tools as well as neck brushes and primer pocket cleaners/uniformers. Included with the Case Prep Assistant are chamfer and deburr tools, with plenty of onboard storage for optional case prep accessories such as primer pocket cleaners, case neck brushes and other 8-32 thread tools. The unit is compatible with both 110V or 220V power. The Case Prep Assistant retails for under $90.00 — Midsouth Shooter’s Supply has it for $83.88 currently. 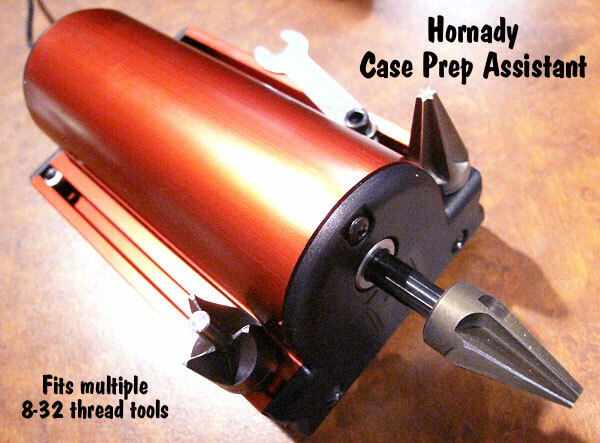 The new compact Case Prep Assistant complements Hornady’s large Case Prep Center, introduced in 2010. The large prep center performs all case prep functions, including case trimming which is handled by a vertical (drill-press-type) motorized trim station. Cases are held with a cam-lock shell-holder and then lowered vertically on to the spinning trimmer head. 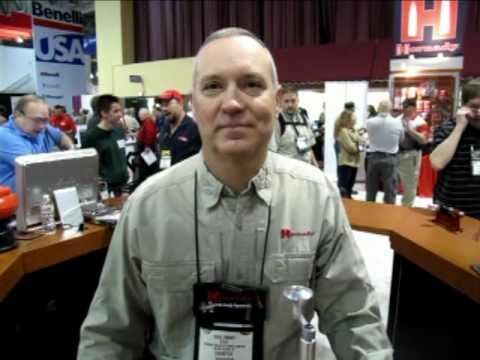 Hornady’s Dave Emary demonstrated both products for us at the 2011 SHOT Show. Dave then told us about the Vintage Sniper Rifle Matches which he has helped organize for the CMP. Share the post "SHOT Show Report: New Hornady Case Prep Assistant"
The big news at the Nightforce Optics booth this year involved Nightforce’s “High-Speed” turret design. First introduced on select models in 2010, now the “high-speed” turrets will be installed as standard equipment on Nightforce’s full line of NXS riflescopes (except compacts). The “High-Speed” turrets basically double the amount of elevation (or windage) travel you get with one full revolution of the turret. Previously, a Nightforce elevation turret delivered 10 MOA of elevation adjustment with one 360° turret rotation. Now, with the “High-Speed” turrets, Nightforce scopes will yield twenty (20) MOA of elevation travel with one full revolution. The “High-Speed” windage knobs will now give 10 MOA of travel in each direction. For mil-based turrets, the amount of elevation travel (per revolution) has been increased from 5 mils (per 360° spin) to 10 mils. The doubling of adjustment travel (per revolution) really is an important upgrade that should make Nightforce scopes more user-friendly and fool-proof. For most popular cartridges, you should be able to go from 100 to 1000 yards within one 360° spin of the elevation turret. This means you no longer have to worry about which revolution you’re on. There are highly visible index numbers on the turret, so you should be able to just dial an index number (e.g. 9, 12, 18) to zero at any distance from 100 to 1000. 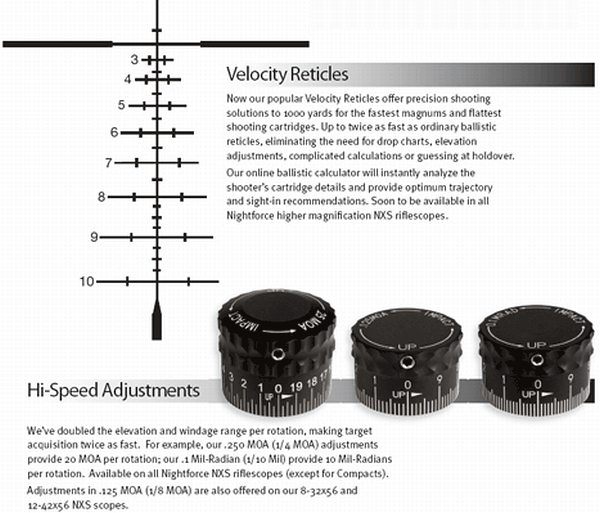 Nightforce will also introduce two new “Velocity” reticles in the summer of 2011, one for 600 yards max, and the other for 1000 yards max range. These will initially be available for the 3.5-15X and 5.5-22X scopes only. Both NF “Velocity” reticles are basically Bullet Drop Compensating reticles that provide hold-over lines for particular yardages. But, you might ask, “How does Nightforce know the ballistic drops for my particular cartridge?” Here’s how it works — the customer sends in his bullet type, bullet BC, and muzzle velocity. Then Nightforce picks one of five (5) calibrated “Velocity” reticles, selecting the hold-over reticle design that most closely matches the actual trajectory of your loads. For most hunters using a common cartridge, one of the five Nightforce “Velocity” reticles should provide a good fit to your load’s ballistics. This isn’t revolutionary — Burris, Leupold, and Zeiss all offer something similar, but it’s good to see Nightforce add this reticle option to its lineup. 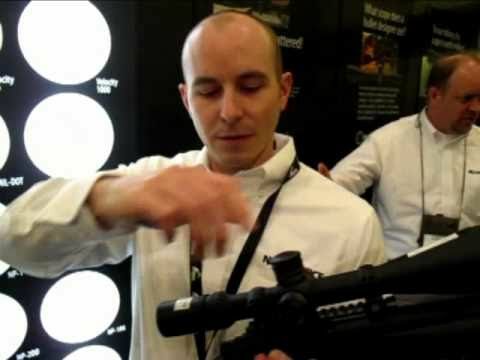 Share the post "SHOT Show Report: Nightforce Fits “High-Speed” Turrets to NXS Line, Adds New “Velocity” (BDC) Reticles"